Super Smash Bros. Invitational Hosted by Nintendo at E3 | Nerd Much? Nintendo has announced what we all pretty much expected. Super Smash Bros. for Switch is going to be a big part of their E3 festivities. 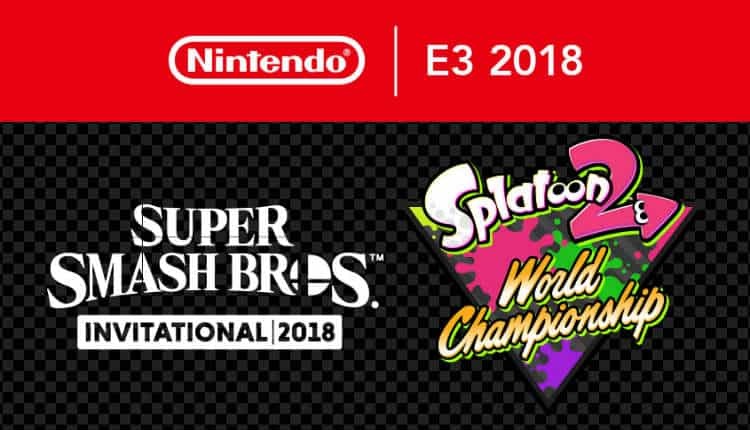 The Big N announced this morning that they would be hosting the Super Smash Bros. Invitational, as well as the Splatoon 2 World Championships beginning June 11th in Los Angeles. This marks the first time that the new Super Smash Bros. will be shown off in a competitive setting in front of the world. The Super Smash Bros. Invitational “will showcase players from around the globe.” Nintendo will likely invite renowned Smash Bros. competitive players from previous titles like Super Smash Bros. Melee and Super Smash Bros. for Wii U. Beginning April 21st, Splatoon 2 will be running online qualifiers for the United States and Canada. Known as the Splatoon 2 U.S./Canada Inkling Open 2018, the event will be hosted on Battlefy. Consisting of teams of four, the Inkling Open will begin open qualifiers with a game of Turf War. Following that, Splatoon 2 will move over to Ranked Battle modes for the finals. For more information on the United States and Canadian portion of the event, head over to Nintendo’s page covering the qualifiers here. The rest of the world is invited for a shot at the World Championships too, of course. Opens will be held across Japan (Splatoon Koshien 2018), Europe (Splatoon European Championship) and Australia (AUNZ Splatoon Cup) around the same time span. The best of the best will then come together at E3 in June. Super Smash Bros. is likely to be the “big game” for Nintendo at E3 this year. E3 doesn’t technically begin until Tuesday, June 12th. So June 11th’s kickoff of the Super Smash Bros. Invitational is likely to be the world’s first good look at the Switch version of the franchise. At that point we can hopefully settle once and for all whether this is a port or a brand new entry in the series.